TC-505A is a high-speed product of G.SHDSL series. Understanding the urgent needs of both bandwidth and routing functions, TC-505A is designed to provide the business customer a high performance stand alone unit with rich of routing features via single G.SHDSL line. Strongly committed to friendly configuration, TC-505A has the Web-based and GUI-based configuration features for configuring the unit in the easiest way ever. There is a Dying-gasp circuit which supports remote power failure detection and indication. TC-505A is an idea product for SOHO users who is starving for high bandwidth and fast, reliable Internet connection but less operating expense. 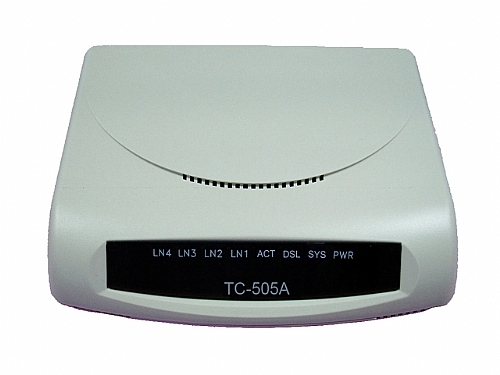 Service provider also can use TC-505A to offer DSL service with features beyond the normal consumer needs.